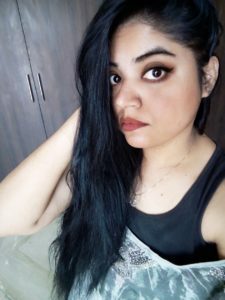 Being a medium-dark skin toned beauty in a country like India has always been a challenge, when it came to finding the exact shade of foundation, where the fair skin has been prevalently preferred. 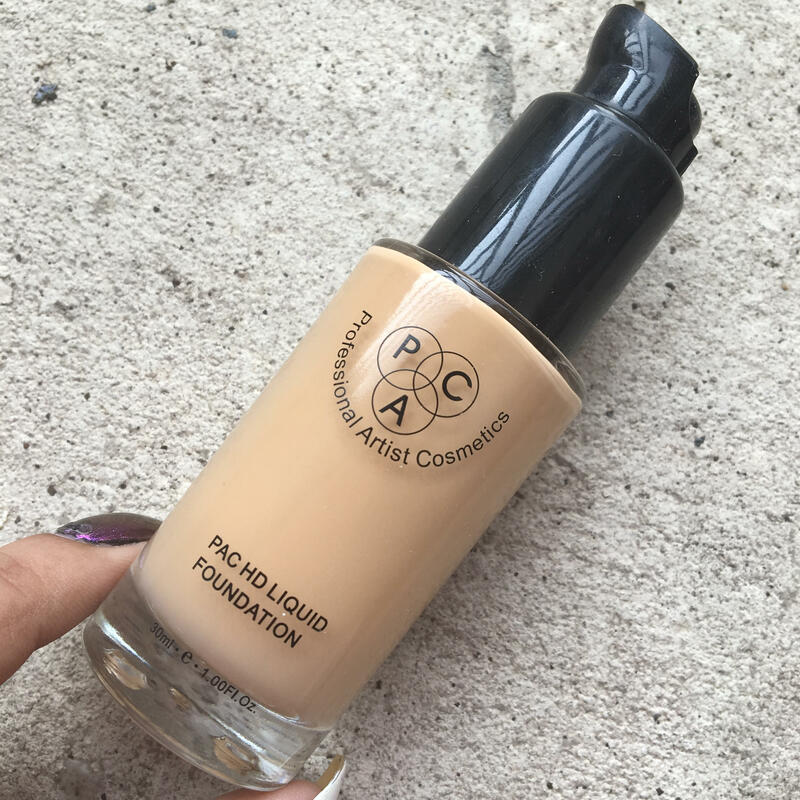 The first time India received inclusive range of foundations was through M.A.C. However now, gone are the days of doom where majority of the Indian beauties had to compromise and end up looking like a ice queen neck up. 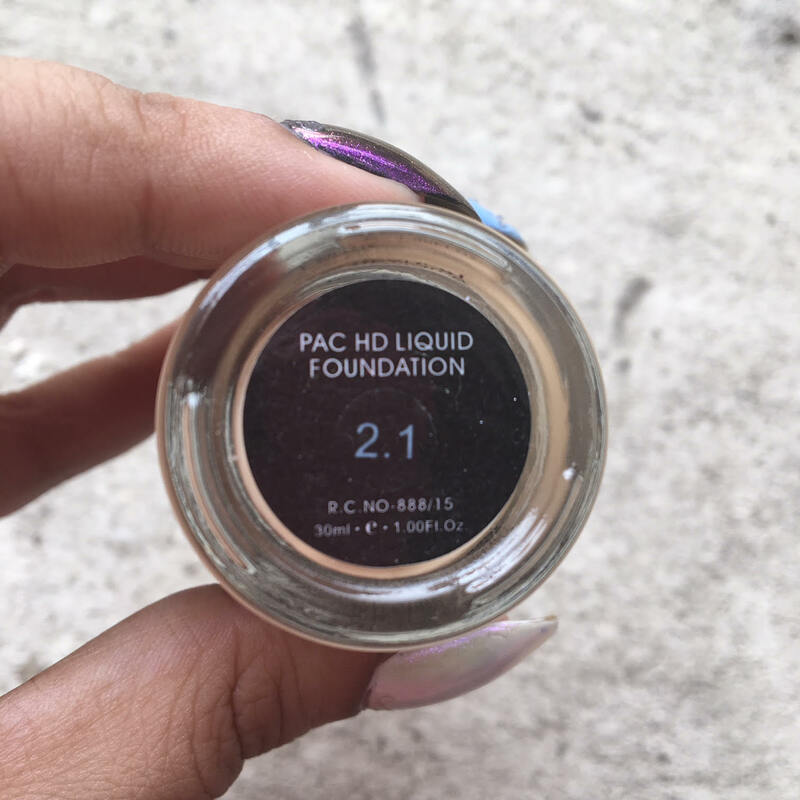 On that note, today I’ll be reviewing the PAC Cosmetics HD Liquid Foundation, which hit the market about 3 years back. PAC initially came out with affordable makeup brushes, and then gradually moved on to a vast array of makeup products. 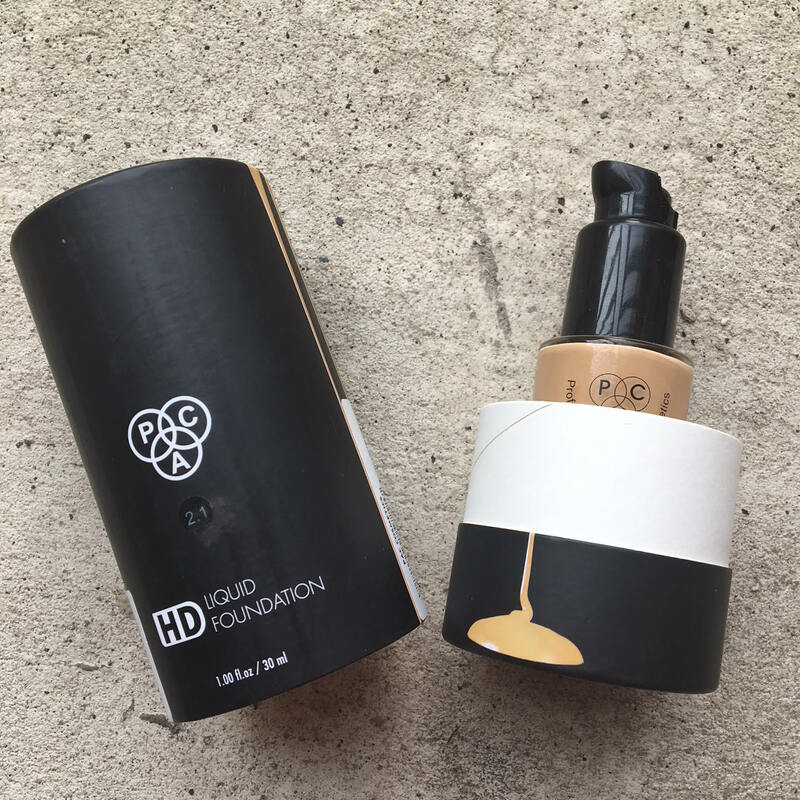 Claims: The new revolutionary foundation ever created, available in various shades that suit all skin types, PAC brings to you a foundation that gives you flawless looking skin. The HD technology helps blur the imperfections and smoothens out the skin giving you a natural look, it is made perfect for every skin type & lasts all day long. 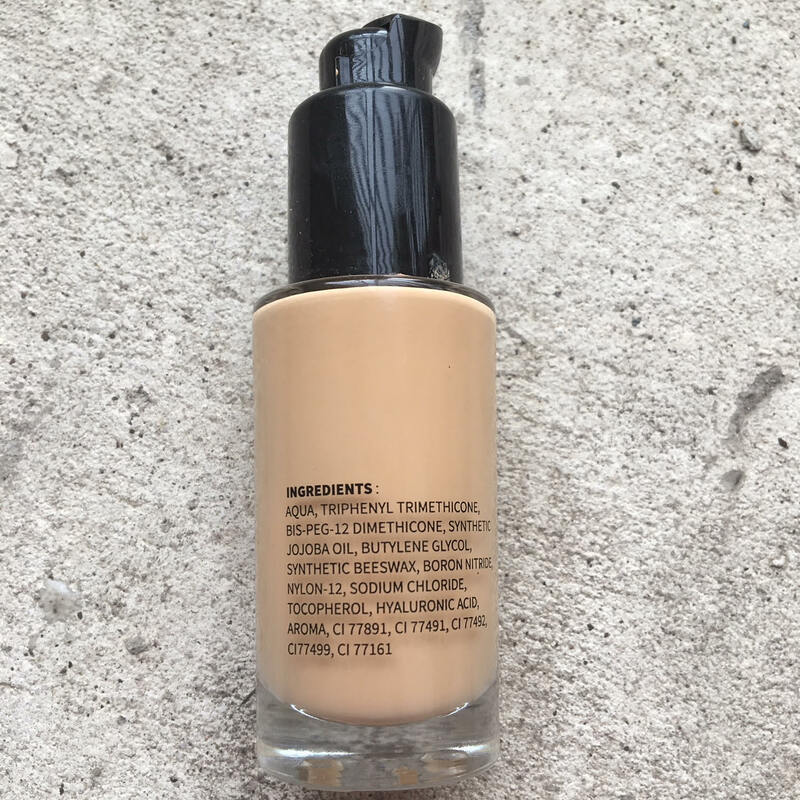 Apply one layer for medium coverage & layer on for a full coverage, the foundation is build-able without feeling heavy on your skin. 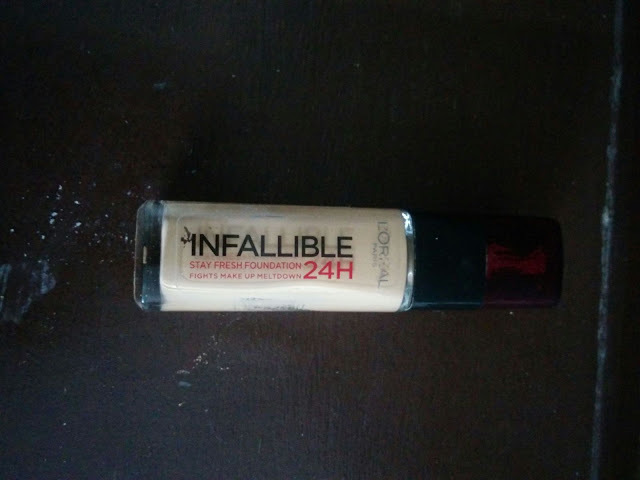 Also say goodbye to flashbacks with this foundation. Packaging: Out of the range of goodness that this product has, the best one has ought to be the packaging. 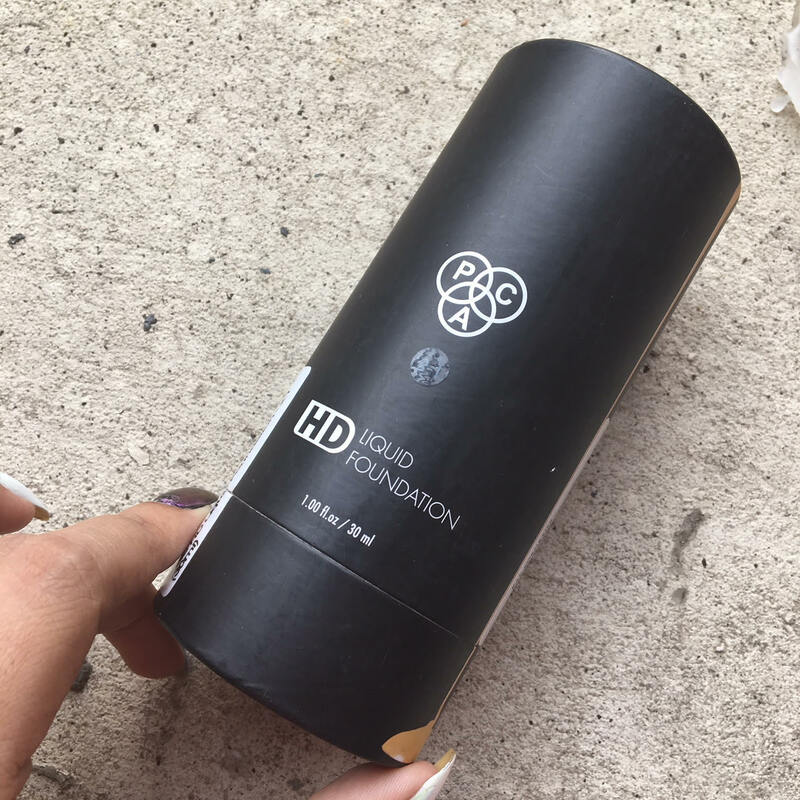 It comes inside an outer cardboard cylindrical packaging, which is super sturdy and tight, with a closed base, keeping the foundation bottle in its place while in transit. It can also double as a makeup brush holder because of its size and shape. Inside the foundation, is almost similar to the M.A.C. studio fix foundation, comes in a thick glass bottle with a pump, and a nozzle to cover the pump after use, thus preventing any leakage. 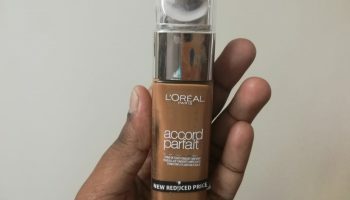 My opinion about the product: The BEST quality of this foundation, hands down has to be the inclusivity of the shade range. I guarantee every skin tone, regardless of the undertone, will find a shade match in this brand. 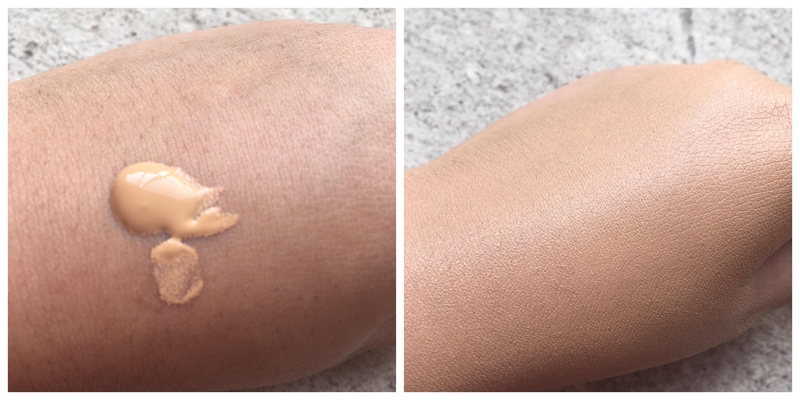 I matched with the shade no 2.1, which is similar to M.A.C NC35-37. 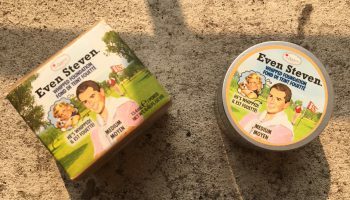 I did turn out to be minutely lighter than my skin tone, but it works, as it oxidizes on my face after about half an hour. 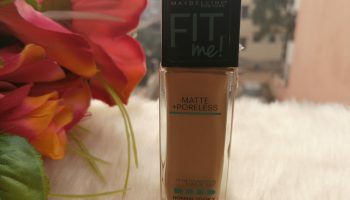 This is a medium-full coverage foundation, so it is very useful for everyday wear. 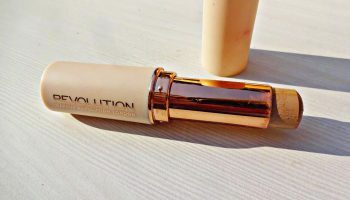 It is super lightweight, and has a mildly thick consistency, which feels like nothing on the skin. 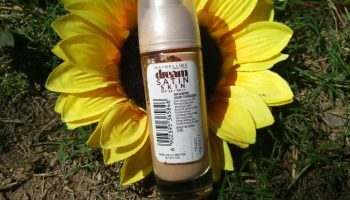 The moment I applied it on my skin, it immediately brightened up my skin. 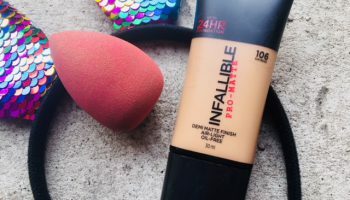 However it didn’t cover any blemishes or dark circles with the first layer, however building up the layer application, can cover blemishes to an extent. There is no application directions given on the packaging. Personally I prefer applying it all over my face with a stipling brush, then blending it with a beauty sponge for maximum product optimization. 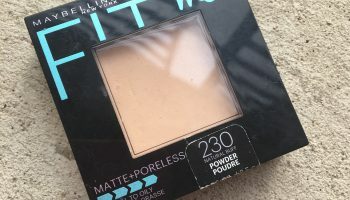 The product needs however to be set with powder, for increasing longetivity. It stayed put for a good 3-4 hours on my face. Expensive in terms of quantity. 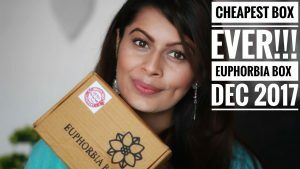 Precisely, this is a good investment, if you are looking for a good quality everyday wear foundation. I would definitely recommend this product. I hope you had a good time reading this. Until next time, Bonjour! About the author: Solanika is currently pursuing charted accountancy. However she is a makeup & fashion lover.